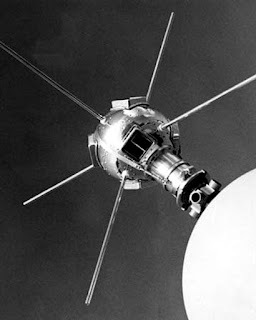 The Vanguard I satellite, launched successfully on March 17, 1958, is now the oldest manufactured object in orbit. It is no longer transmitting, but is in a highly stable LEO orbit with every prospect of remaining there for perhaps another 600 years. It is a physical testimony to the momentous period when humans first ventured beyond the atmosphere. Despite its failure to be first in the ‘Space Race’, Project Vanguard is acknowledged as ‘the progenitor of all American space exploration today’ . For example, the Minitrack network, set up for Vanguard, became the backbone of the NASA Satellite Tracking and Data Acquisition Network used to track all the early generation of satellites . Unlike Sputnik 1 and Explorer 1, Vanguard was designed as a scientific satellite with no military 'taint'. It was launched using sounding rockets rather than missile technology, and originally was to have flown four experiments, including James Van Allen’s. In the spirit of international cooperation created by the InternationalGeophysical Year, the Vanguard team recruited a network of volunteers across the world to carry out visual tracking in ProjectMoonwatch . As it turned out the Moonwatch volunteers first applied their training and equipment to pick up Sputnik’s 1 orbit. Ultimately though, Vanguard represents the conflicting motivations and rationales for space exploration in the critical period of the 1950s, when the United Nations also first moved to set up the principles of the Outer Space Treaty. Although it was designed as a peaceful scientific satellite, it was also an ideological weapon, a 'visible display of technological prowess' aimed at maintaining the confidence of the free world and containing Communist expansion [1, 3]. Vanguard’s design and mission reflect the competing models of cooperation and confrontation in space, at a time when there were no rules, laws or guidelines to structure the human-orbital interaction . It is now the only one of the early satellites to remain in LEO. Apart from significance at the aesthetic, historic and social levels, Vanguard 1 is also the only object that can tell us what happens to materials when exposed to the LEO environment for 60 years.